Left out of the SP-BSP pre-poll tie-up in Uttar Pradesh, the Congress on Sunday announced that it would go it alone on all the 80 Lok Sabha seats in the state in the 2019 general elections. After a brainstorming session with senior party leaders, Congress general secretary in-charge of Uttar Pradesh Ghulam Nabi Azad, however, said his party would accommodate any secular force that was capable of taking on the ruling Bharatiya Janata Party (BJP) in the Lok Sabha polls. The meeting of the Congress was held a day after the Samajwadi Party (SP) and the Bahujan Samaj Party (BSP) announced their alliance in Uttar Pradesh, sharing 38 seats each and leaving two seats for the smaller parties, besides leaving Rae Bareli and Amethi for United Progressive Alliance (UPA) chairperson Sonia Gandhi and Congress chief Rahul Gandhi respectively. Azad said, "The Congress will contest on all the 80 Lok Sabha seats in Uttar Pradesh and defeat the BJP." He also expressed hope that the Grand Old Party would double the tally of 21 seats it had secured in the state in the 2009 general election. 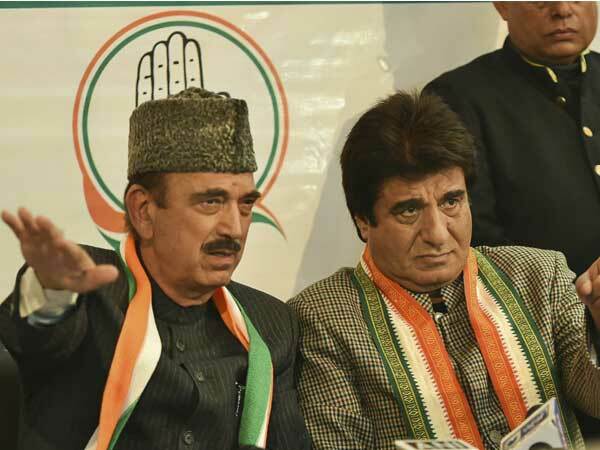 To a question on whether the Congress will forge a coalition with any other political party, Azad said, "If any party is willing to accompany the Congress and the Congress feels that it can fight the BJP, then it will definitely be accommodated." On his party being left out of the SP-BSP alliance, the Congress leader said, "We wanted that the Congress should have been a part of the Grand Alliance (against the BJP) in Uttar Pradesh. But if someone does not want to walk along, nothing can be done." Asked whether the Congress would field candidates in seats which will be contested by BSP supremo Mayawati and SP chief Akhilesh Yadav (since the SP-BSP alliance will not field nominees from Rae Bareli and Amethi), Azad did not give any clear answer. On the possibility of a post-poll alliance with the SP and the BSP, he said at the national level, the Congress would welcome all the secular regional parties. To another question on the SP-BSP tie-up, Azad said, "The Congress workers are not at all disappointed on being left out of the alliance. On the contrary, they are saying the party would have had to contest on 25 seats, but now it would be contesting on all the 80 Lok Sabha seats in the state. Congress president Rahul Gandhi will hold at least 13 rallies in Uttar Pradesh." At the joint press conference with Yadav here on Saturday, Mayawati had explained why the Congress was left out of the SP-BSPpre-poll tie up. She had said that during the Congress' rule in the country, poverty, unemployment and corruption grew, and there were scams in defence deals. The BSP chief had also pointed out that in the past, her party had not benefitted from seat-sharing pacts with the Congress. "In the past, I have seen that our votes get transferred to the Congress, but not vice-versa. We do not gain from an alliance with the Congress, whereas the vote transfer is perfect in an SP-BSP tie-up," Mayawati had said. Azad on Sunday accused the BJP of dividing the country for power. "The coming Lok Sabha election is a battle to unite India and safeguard the democratic values," he said. Attacking PM Modi, the Congress leader said, "Modi is not concerned about the country, he is bothered about his own chair. One of the biggest scams has taken place during the tenure of this government. The government has not gone for a probe. Not going for a probe does not mean that the scam has not been committed."